Payment gateway » Blog » Definitions » Online merchant – what is it? Online merchant – what is it? Each day more and more people buy online and shopping habits of today’s online consumers are changing quickly. Having a deep knowledge of the market is important especially if you want to be an online merchant. But what exactly does it mean? Most people start as regular online sellers – they just buy products and then sell them to generate profit. What’s obvious, they want to buy cheap and sell high to maximize the revenue. However, online merchant is not the same as an online seller and it’s about something more – adding more tasks and responsibilities to their daily activities. Moving from seller to merchant increases market position and can be compared with the next step in the evolution of selling. Online merchants can be compared to merchants at a regular store, but their job is done solely on the Internet. They are responsible not only for store’s inventory but also for controlling the financial process and even promoting the products and the brand. As you can see, it’s not just about simple buying and selling process anymore. If you want to become an effective online merchant you should focus not only on a product, place and price, but also on a promotion, which is the key of your activities. 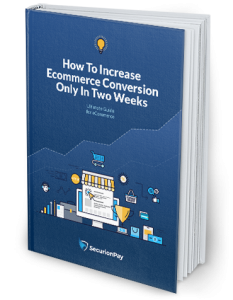 You need to know how to use new media, how to build strong community around your brand but also how to increase conversion rate in your e-commerce store. Moreover, if you’re really into developing your customer base (leads) you should learn the basis of a sales funnel to know when your leads are ready to buy – it’s all about taking online selling to a new degree. The Internet gives you huge business opportunities and it’s easier than ever to reach the customers from all over the world. You have to remember though, that the more unique you are, the stronger your position becomes and it’s easier to keep your customers interested. You should focus on building long-term brand value and uniqueness. Keep in mind that it is crucial to know the world of buying and selling, but also how to promote products to your specific audience. So, are you still an online seller or you’ve moved to the next level already? What is The Risk Management in Payments?